Feel confident in your financial decisions. Gain clarity on your next money moves. Expand your choices moving forward. To help good people save more money, so they can do more good. It starts by helping you get a deeper understanding of your financials than you have ever had before. But to do this, we needed an advanced tool, like businesses use, customized for individuals. It didn’t exist. So, we created the Financial Freedom Tool. 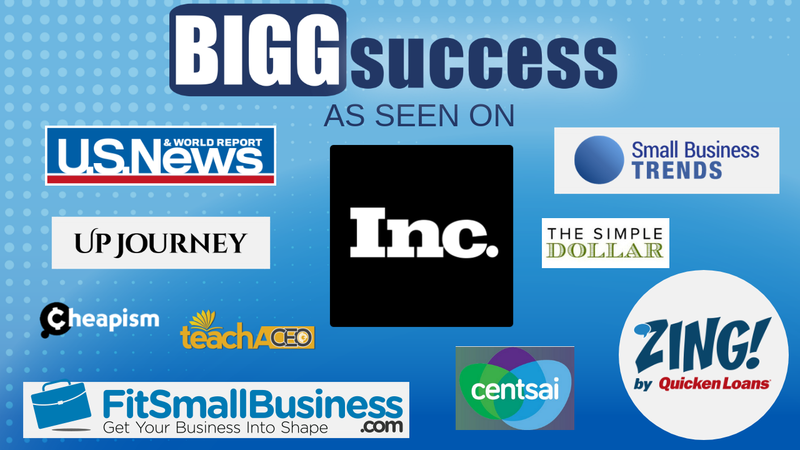 It’s like the tool we’ve used to help thousands of people understand the finances of a business, including clients of BIGG Success over the last 10+ years and George’s Entrepreneurial Finance students at the University of Illinois, where he has taught for 20+ years. The result is you know exactly what to do to reach your goals, so you can save more money and do more good. We look forward to you joining us. And here’s to your BIGG success! You will learn a lot, but it won’t take hours of reading. In minutes, we show you “how to” and then you do it. If you can type numbers and click a mouse, you’ll find the Financial Freedom Tool easy to use. While the tool is advanced, all you need to know is that smiley faces are good and frowny faces aren’t. Our Financial Freedom Tool will be your 24/7/365 decision-making companion, so you reach goals faster. The tool will help you be prepared in advance for the inevitable financial surprises life can throw your way. Plenty now. Plenty tomorrow. And for all your tomorrows after that. Plenty for you. Plenty to share. Moneywise, you’re doing all right. You live comfortably, but not lavishly. You have a nice home. You live in a nice neighborhood. You drive a nice car. You save. But you have this gnawing feeling that you could do more. And you’re frustrated – you really, really, really want to do more. Because you know “more” matters. “More” may mean sending your kid to a better school, retiring where you want, or creating more memorable moments now for you and the people you care about. But in order to afford these wonderful things, you need to see your money grow more. You just aren’t sure how to make that happen. With our Financial Freedom Tool, you will be sure. You will be able to pinpoint exactly where to look to save more money. You’ll also know how much more you should target for savings. Of course, you may choose to save less or you may choose to save more. That’s the beauty of our Financial Freedom Tool. It expands your choices, so you can create the future you want. Get the Financial Freedom Tool today! You don’t understand it. You got a pay raise (or changed jobs and got a nice bump in pay). You got a nice tax refund. Finally – things were going your way. Or so you thought. Because you checked your bank balance. It’s down, even though your most recent paycheck just got deposited. And the bills just keep on a coming. It seems that the more money you make, the more money you spend. Ugh! You feel so discouraged. What can you do? Gain command over your finances with our Financial Freedom Tool. You will know, beyond a shadow of a doubt, where you can save money and how much you can save. In nearly no time, you’ll know exactly how to shore up your finances. And daily, the Financial Freedom Tool will help you make the best money decisions, so you keep on track and never, ever again feel like you do now. Imagine how good you will feel when you see your bank account going up…month after month. And your confidence rising with it, so you can proceed boldly toward your future dreams. Life is short. You only live once. You don’t want to just go through the motions, work for years, retire, and die. You want to get the absolute most out of life. You want to make an impact. Sure, you need to plan for your future. You know it’s the smart thing to do. But it’s so far off. You don’t want to wait for decades to enjoy the fruits of your labor. You want to live now! How can you enjoy life now and later? Make our Financial Freedom Tool your financial partner…for life. It will help you balance your desire to enjoy life now, with the need to arrange your financial affairs so you can also enjoy life later. No doubt, it’s not easy to strike this balance. You have to be smarter – and you will be even smarter than you are now, thanks to the insights you gain from our Financial Freedom Tool. It will help you make better money decisions every day, so you can truly live with no regrets. Not having money buys misery. It’s all hard on your health, short-term and especially long-term. But what choice do you have? You can choose to be lifted up by our Financial Freedom Tool. In many cases, a few tweaks are all it takes to get on solid footing. The Financial Freedom Tool will pinpoint exactly what to tweak, so you can start turning around your finances in nearly no time. Imagine how good you will feel when you have the money to pay your bills on time, every time. No more late notices. No more money getting sucked out of your budget for late fees. And to see your bank account rising month after month. No more money hassles. Never, ever having to worry about running out of money again. No more financial stress. Live happier ever after. Debt can be like a prison without walls. When every dollar you make is spoken for before you make it, you feel trapped. You stop living. You merely exist. At least that’s how it feels. Worse yet, there’s that constant state of anxiety. Because even a minor emergency can become a major catastrophe when you don’t have money. Just the thought of it calls up that sinking feeling in the pit of your stomach. And that’s no way to go through life. But you just don’t know how to set yourself free. When freedom is the goal, our Financial Freedom Tool is the place to start. It will pinpoint exactly where to look for extra money to begin reducing your debt…month after month. Imagine how good you will feel as you see debt after debt getting paid off. And to, finally, FINALLY, feel like you are in charge of your money. Money is a mystery to many people. It seems so complex. And it can be. But money touches almost everything. So, a solid understanding of money is critical today if you want to get ahead and enjoy a full life. Maybe this describes you. Maybe it describes someone close to you. In either case, time is money. The best time to start gaining money wisdom is right now. But where do you start? Start with our Financial Freedom Tool. While it is an advanced tool, it is designed for non-financial people. All you have to grasp is that smiley faces mean you’re doing good and frowny faces mean there’s room for improvement. Step-by-step, we walk you through all the facets of the tool. Imagine how good it will feel to go from feeling like you don’t know much of anything about money, to knowing you have a deeper understanding of your money than most people could ever hope to have. And you make smarter financial decisions every day. 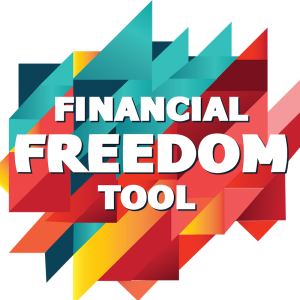 Get the Financial Freedom Tool today…for you or a loved one! Money. You want it. You may have even tried a “get rich quick” scheme or two. You learned the hard way: There is no such thing as get rich quick. You want to get rich. But where do you start? Start with our Financial Freedom Tool. It will help you find the funds to fund your dreams. You will be able to pinpoint exactly where to find these funds in your current household expenses. You’ll also know how much more you should target for savings. So you can get more money working for you. So you build your net worth. And so you create the future you dream of living.